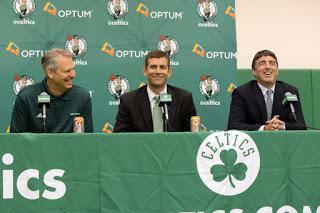 The Boston Celtics are approaching free agency with just a few small holes to fill. The Celtics still need to re-sign Marcus Smart and Aron Baynes but they've also made some other moves to shore up depth. Boston selected Robert Williams with the No. 27 overall pick in the 2018 NBA Draft last week. 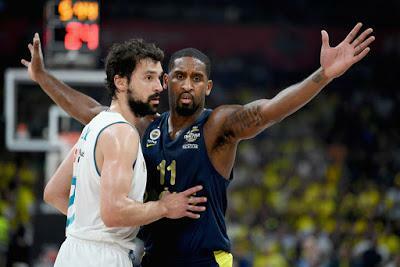 They've also negotiated and agreed to a deal with EuroLeague guard Brad Wanamaker. The Boston Celtics were represented quite well at the NBA Awards. 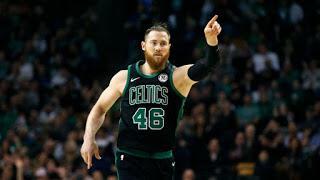 Hall of Famer Bill Walton, Aron Baynes, and Jayson Tatum made up the bulk of the Celtics table. Tatum, Brad Stevens, and Kyrie Irving were each nominated for awards. Irving won handle of the year, Tatum lost ROTY to Ben Simmons (who he outplayed in the conference semis), but the worst of all was Stevens. 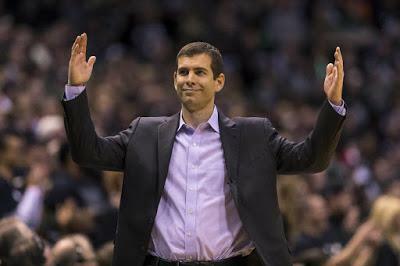 The mastermind who's improved the Celtics record every year, who lost 11 players from last season and guided them back to the conference finals despite losing their top two players prior to the playoffs even beginning lost the Coach Of The Year award to Dwane Casey. Yeah, the same one who was fired after being swept by Cleveland. Blasphemy. The Boston Celtics stood pat on draft night and they were rewarded immensely for their patience after Robert Williams fell all the way to No. 27. The former Texas A&M center was projected to be selected from anywhere in the late lottery to the middle of the first round However, there were some concerns about his work ethic and conditioning during the pre-draft process. Those concerns, coupled with questions about his knee, resulted in Williams slide during the draft. It's hard to argue that the Boston Celtics are primed for one of the more successful futures in the NBA. They've got a starting lineup filled with stars, Kyrie Irving, Jaylen Brown, Gordon Hayward, Jayson Tatum, and Al Horford. And they're more than capable off the bench with talents like Terry Rozier, Marcus Smart (pending re-sign), Marcus Morris, Semi Ojeleye, Guerschon Yabusele, Robert Williams, and Daniel Theis, among others. 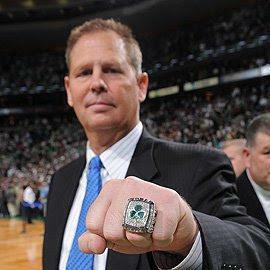 However, the future could blossom into something even brighter with the assets inside GM Danny Ainge's treasure chest. The Boston Celtics currently hold just one selection (No. 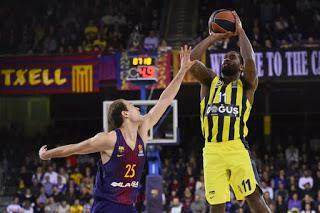 27) in the 2018 NBA Draft. That's the fewest picks the Celtics have had in a draft in recent memory. Last year they had four draft picks, in 2016 they had a whopping eight picks, and in 2015 they also had four. In fact, it's been half a decade since Boston held just one selection in the 2013 draft. That puts GM Danny Ainge in quite a precarious situation. Restricted free agent guard Marcus Smart could potentially receive an offer that Boston simply can't match. Kyrie Irving and Al Horford can opt out of the final year of their respective deals in 2019. We're two days away from the 2018 NBA Draft and rumors from around the league are at an all-time high on the cusp of one of the biggest free agency periods in recent history. The Boston Celtics have continually been linked to players such as LeBron James and Kawhi Leonard. We're inching closer and closer to seeing if those whispers will come to fruition. Boston is stacked at the wing position with developing stars Jayson Tatum and Jaylen Brown. Head coach Brad Stevens also hinted that he expects Gordon Hayward to be fully recovered and playing pickup by August. Barring a trade, the Celtics have Marcus Morris and Semi Ojeleye under contract as well for 2018-19. Did the Celtics make the right decision to trade Avery Bradley? How Does Jayson Tatum fit in with the Boston Celtics?